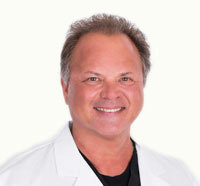 Barry Newton joined Dermatology Specialists of Florida in 2010 after a 20-year military career. He is retired from the United States Air Force where he last served as the Physician Assistant to the Special Forces Operations Medical Element (SOFME). Barry is a graduate of the University of Nebraska College of Medicine and United States Air Force’s joint physician assistant program. He has over 30 years of experience in the medical field and has been in the Panama City area since 2003. His specialties include General and Surgical Dermatology with an emphasis in skin cancer surgery and surgical reconstruction.